The art of making Kundan Jewellery flourished in the Mughal era and reached Rajasthan through Delhi. 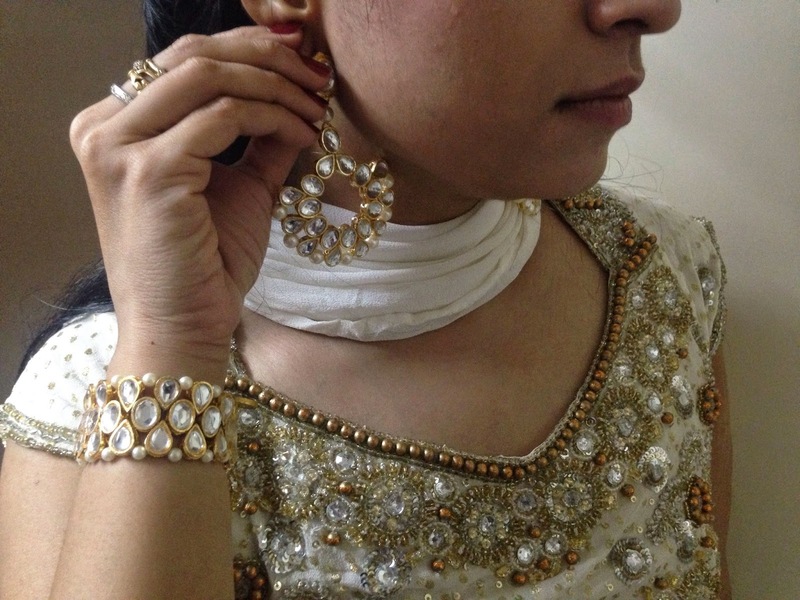 Kundan jewellery is a part of traditional bridal trousseau for a reason. The pieces spell majestic charm and the person adorning it looks nothing less than a royal. When I spotted these Kundan earrings on Confusion FA, it was love at first sight and then I found this pretty elastic Kundan bracelet and I thought, this is a match made in heaven. This is your last chance to win a statement neckpiece from Confusion FA worth Rs. 3150. Click on this link and enter the #giveaway now. the ear rings are really pretty and sophisticated! That is one classy outfit you put together, Aditi. 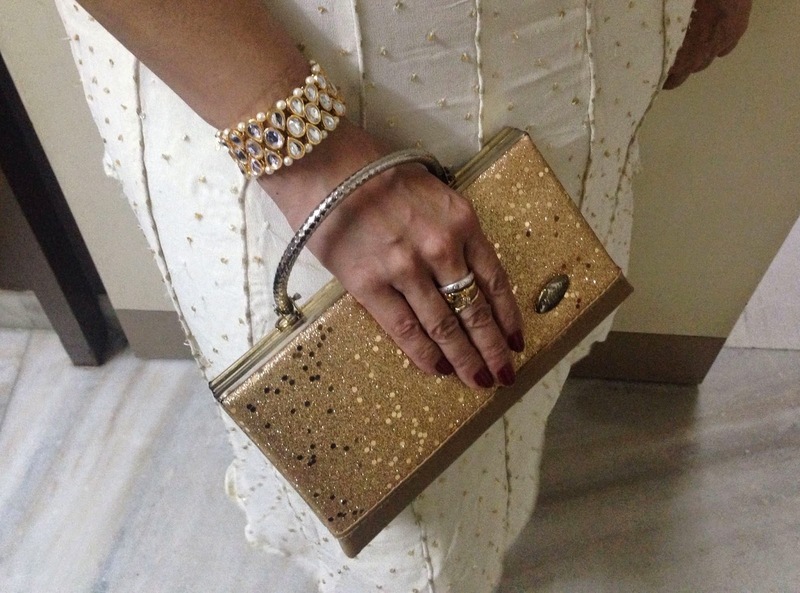 I love the earrings and clutch. They look so elegant...Just saw Alia Bhatt in a new Coke ad wearing kundan jewelry. It looks lovely.